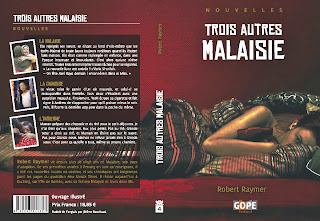 Kinokuniya Singapore (which has a French department), asked the French publisher Éditions GOPE when Trois autres Malaisie (Three Other Malaysia), the French translation and retitled version of Lovers and Strangers Revisited will be available. It looks like it’ll be out in August, sooner than expected . . . . In the meantime, they are taking Le monde de Suzie Wong (The World of Suzi Wong) and Trois autres Thaïlande (Three Other Thailand), the first book in Éditions GOPE’s series of collection of short stories set in Southeast Asia. 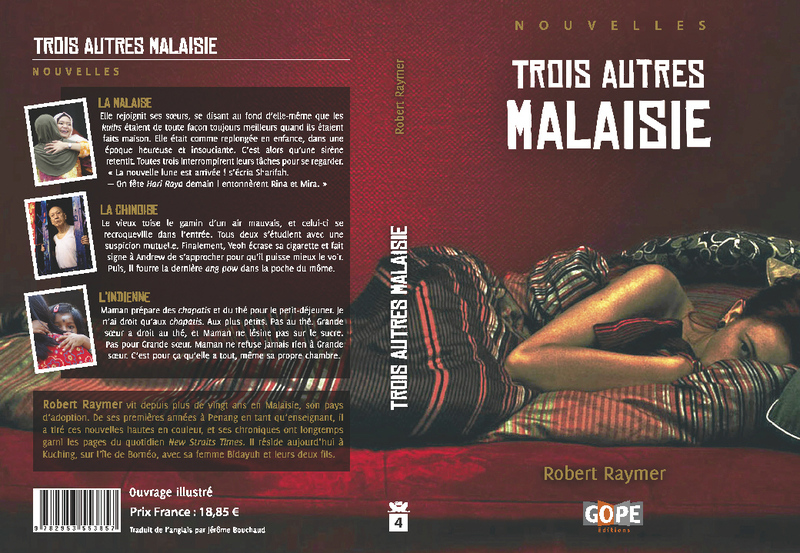 Trois autres Malaisie will be the second book. Unlike Lovers and Strangers Revisited, Trois autres Malaisie will be divided into three sections: the Malays, the Chinese, and the Indian—hence the title. For many in France, this will be there first modern introduction to Malaysia, especially via fiction. There will also be sketches by a French cartoonist, I believe, who has spent some time traveling in Southeast Asia including Malaysia. The French blog for Trois autres Malaisie also provides a summary of each story, in French of course. Then there’s the French translation of “Transactions in Thai”, from Lovers and Strangers Revisited, though not included in Trois autres Malaisie (since it's set in Thailand). And tomorrow, I will be meeting for the first time the French translator of Trois autres Malaisie, Jerome Bouchaud,who is in Kuching to update his guidebook on Malaysia "Malaisie - Modernité et Traditions en Asie du Sud-Est". Great news. So happy for you.